The Loodaism Project: Rabbi Goldman spends Tuesday at Laurier and Wednesday at Waterloo, meeting with individuals or small groups of students for discussion and text-based study. Any interested student can email him to request a meeting. Girls Club: Exclusive classes and events for ladies only, led by Rivky Goldman. Generally held on Tuesday evenings - join the WOW (Women of Waterloo) Facebook group to stay in the loop. 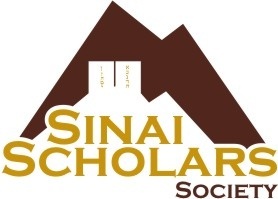 Sinai Scholars: A serious program for serious explorers. If the prospect of 8 weeks of discussions/classes on Jewish philosophy with a group of like-minded peers makes you dance for joy - Sinai Scholars may be for you. This is a highly popular program developed by our national office and currently offered at over 100 campuses across North America. 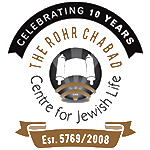 Program also includes a full Shabbat experience at Chabad, writing a reflection paper and a field trip to a major Jewish community. Participants who successfully complete the program are eligible for a $350 stipend or a voucher for $500 towards participating in the Israelinks trip (3 weeks of studying and traveling throughout Israel). Click here to apply - you must be accepted to attend. Course is limited to 10 participants per semester. Jnet. Free Jewish learning over the phone. Personal, friendly and convenient. Edutainment: (adv.) The act of learning something while having a good time. Click here for the wasomest puppet show in the world. Browse our extensive collection of downloadable, free Jewish audio. Classes on spirituality, daily living, Jewish history, holidays, and more, plus lots of Jewish music. Great for trips home!